Susan is the Program Coordinator of the Early Childhood programs at Flinders University. 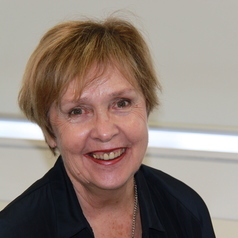 Prior to her 2006 Flinders appointment as Senior Lecturer in Early Childhood, Susan worked at Edith Cowan University (2000-2006) leading the development of a Bachelor of Education specifically designed to develop continuity between the early and primary years. Susan's experience includes teaching and leadership at local, state and national levels in her work as a District Coordinator, School Principal, Curriculum Manager and President of the Junior Primary Principals' Association of South Australia. Her work as School Principal in a large suburban integrated early childhood program has been researched and documented in research reports including '100 Children Go to School' (1998, Hill et al). Her educational leadership and teaching within the university context focuses on social justice and repositioning children in the learning process as a way of achieving more equitable outcomes in early childhood education.